Since 2008, Dancing Queen Parties has been hosting dance parties for kids in Melbourne. Having originated in Melbourne and then growing throughout Australia, we have hosted 1000’s of kids dance parties. Pick one of our Characters – Honey Hip Hop, Anna Ballerina or Charlee Cheerleader to host a fabulous dance party for your child in the characters chosen dance style. We make things super easy by coming to you, at your home or chosen venue and take care of the dance entertainment, prizes and fun. All of our entertainers are trained professional dancers and dance teachers, have Working With Children Checks and ensure your child and their guests are engaged and entertained throughout the party. We host a structured party with dance-based party games, dance routines, face painting/make-up/transfer application and prizes for each guest. Go look at our kids party packages for the best party entertainment! 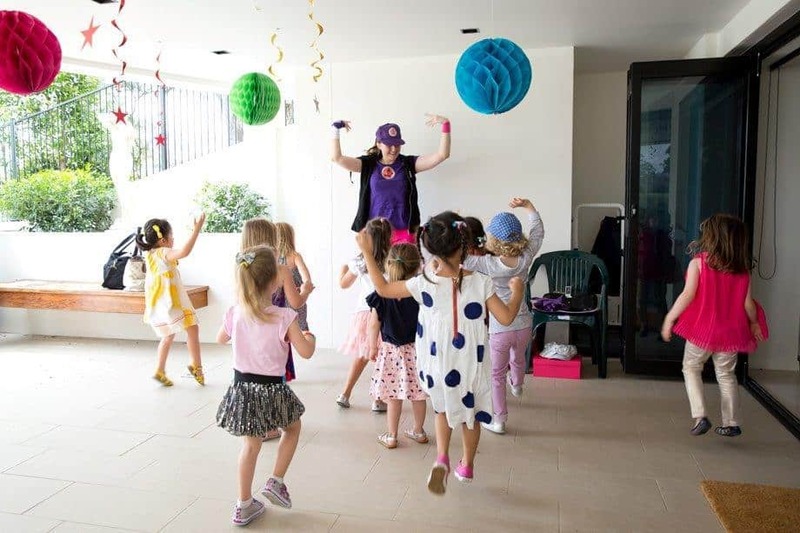 Since late 2010, Dancing Queen Parties has been hosting dance parties for kids in Brisbane suburbs. We specialise in hosting Hip Hop parties, Ballerina parties and Cheerleading parties for Brisbane children who love to dance. We come to you, at your home or chosen venue and take care of the entertainment, prizes and fun. All of our entertainers are trained dancers/dance teachers, have Blue Cards and ensure your child and their guests are engaged and entertained throughout the party. We host a structured party with dance based games, dance routines, face painting/make-up/tattoo application and prizes for each guest, all whilst ensuring the birthday child is spoilt and you can relax and watch the dance party unfold.